The Volkswagen Fox is a city car produced and designed by Volkswagen of Brazil and sold in Latin America since 2004 and Europe from 2005 to 2011. Currently the Fox is produced as a three-door and five-door hatchback. There is also a mini SUV version called CrossFox, and a mini MPV/station wagon model called Suran, SpaceFox, SportVan or Fox Plus depending on the market. 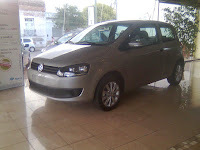 In South America, it fits between its two supermini brothers, the low cost Gol and the Polo. In Mexico it was called the Lupo, due to the last name of then-current President Vicente Fox. VW of Mexico dropped the Lupo after a short run of 2009 models due to poor sales and replaced it along with the aged Pointer and Derby by the VW Novo Gol. The SportVan has also been quietly discontinued starting February 2010 in Mexico due to poor sales leaving only the CrossFox. In the European market, the Fox replaced the Lupo city car as the entry-level car in the lineup. Volkswagen has stopped selling the Fox in Europe in 2011 and it has now been replaced by the Volkswagen Up. Like the contemporary Polo, the Fox is based on Volkswagen's PQ24 platform. Volkswagen acquired the rights to the name in 1969 by purchasing NSU. The original NSU Fox was a motor-bike first seen in 1949, and Volkswagen had subsequently used the "Fox" name in some markets for special edition Volkswagen Polos. The Audi 80 produced in the 1970s also used the name Fox on vehicles sold in Australia and the USA. In November 2009 the new Fox 2010 was revealed in Brazil and later also in Argentina. The Fox was introduced to Europe at the AMI Leipzig Motor Show in 2005, on debut in Europe the Fox was only available as a three-door hatchback and with three engine options: the 1.2 L 40 kW (55 hp) I3 and 1.4 L 55 kW (75 hp) I4 petrol engines and the 1.4 L 51 kW (69 hp) TDI engine. The Fox was sold with a long options list to reduce its tag price, therefore letting the European customer specify the Fox to their liking. It did come with standard twin airbags and anti-lock braking system for safety measures. Upon its debut the Fox scored four stars in EuroNCAP's crash rating system. The Volkswagen CrossFox is a mini SUV version which sets it apart from the standard Fox. 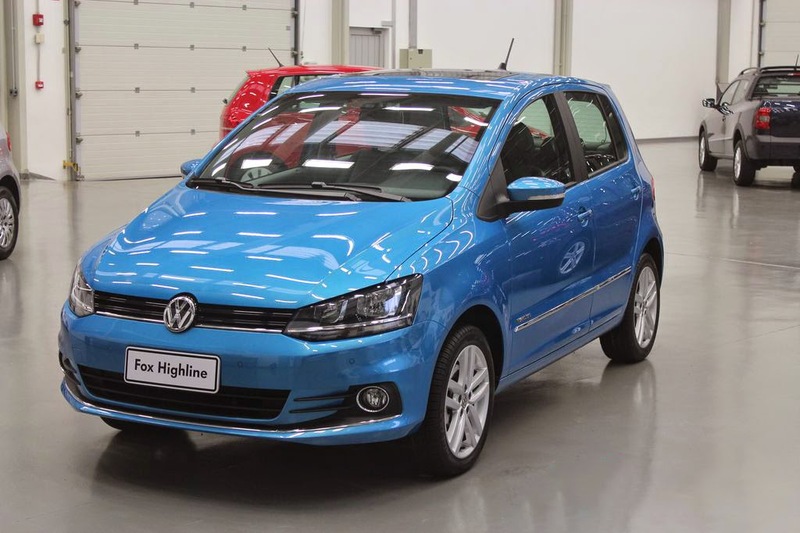 As is the case for other similar models, it is available only with front-wheel drive. It is produced in Brazil and sold in Latin American markets; there are plans to export it to European markets to compete in the expanding mini SUV market (see Ford EcoSport and Fiat Idea Adventure). This version contains mixed-use tires and a suspension raised slightly beyond a spare tire on the outside of the trunk. A mini MPV/station wagon version of the Fox was presented in April 2006. 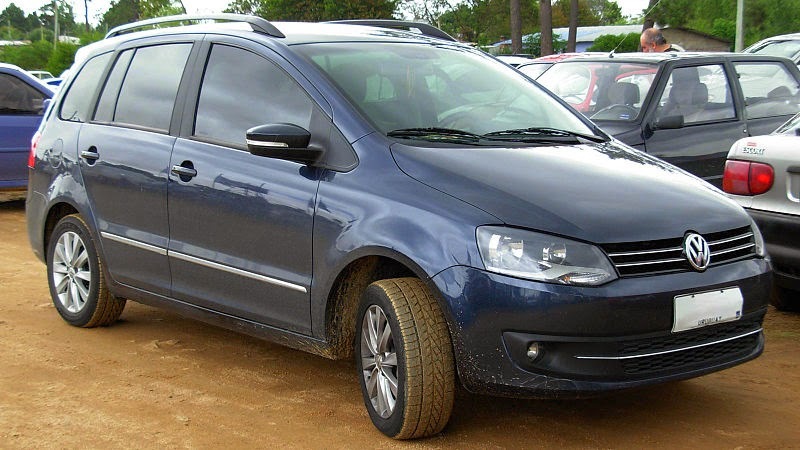 It is named Suran in Argentina, Chile and Uruguay, SpaceFox in Brazil and Peru, SportVan in Mexico and Fox Plus in Algeria. It is built in General Pacheco, Argentina. Because of its 360 mm-extended tail (4,165 mm vs. 3,805 mm), it has a larger boot and more rear leg room than the hatchback versions. Its main competitors are the Peugeot 206 SW and Fiat Palio Weekend. The initial version has the same wheelbase of 2,645 mm (104.1 in), a length of 4,165 mm (164.0 in), a width of 1,640 mm (64.6 in) and a height of 1,545 mm (60.8 in). It uses the 1.6-litre engine, with power output levels ranging between 98 and 103 PS (72 and 76 kW; 97 and 102 bhp), depending on the fuel version (petrol or blend of ethanol and petrol). In 2009, it was facelifted, gaining slightly enlarged dimensions: 4,180 mm (164.6 in) in length, 1,660 mm (65.4 in) in width and 1,576 mm (62.0 in) in height. The Fox was a variant of the Gol manufactured by Volkswagen do Brasil and marketed by Volkswagen in North America as an entry level subcompact from 1987 to 1993. Initially offered as a two-door and four-door sedan as well as a two-door wagon, the wagon was discontinued in 1991 along with the two-door for the Canadian market, the same year the four-door sedan (as well as the two-door, in the US) received a mild restyling. The Fox featured a longitudinal mounted 1.8L, 81 PS (60 kW; 80 hp) 4-cylinder gasoline engine, sharing components with the VW Golf — along with a 4-speed transmission for the standard 2- and 4-door sedan and a 5-speed transmission for the "GL" sport model — and no automatic transmission. There was no power steering ever in the Fox. The Fox had power assist disk brakes in the front and drum in the rear. Abs was not available. According to the U.S. EPA the 4-speed version averaged 24 mpg-US (9.8 L/100 km; 29 mpg-imp) on the new combined driving cycle with the 5-speed transmission able to produce 23 mpg-US (10 L/100 km; 28 mpg-imp) on the new driving cycle. Under the old test protocol the VW Fox was able to produce 26 mpg-US (9.0 L/100 km; 31 mpg-imp) with the 5-speed transmission and 27 mpg-US (8.7 L/100 km; 32 mpg-imp) with the 4-speed transmission. Early models (1987–1989) featured the Bosch CIS-E also known as KE-Jetronic electro-mechanical fuel injection, using an oxygen sensor to assist in fuel management. Later models featured (1990–1993) Bosch Digifant electronic fuel injection. In Canada the Fox from 1987 to 1989 was offered with the simpler Bosch CIS fuel injection (K-Jetronic) without an oxygen sensor for the engine fuel management system. Originally, the Fox's squared off front end featured sealed beam halogen headlamps; after 1991 models received revised sheet metal with flush glass headlamps. In the United States and Australia the Audi 80 was badged as the Audi Fox during the 1970s, but the two have very little in common. 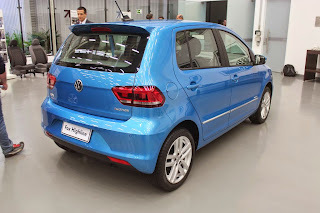 The Australian version was assembled locally by Volkswagen Australasia Ltd.
Last updated on 23 May 2015 at 11:18.